As the debate intensifies before the Supreme Court judgment, the outgoing Trai chairman says Aadhaar doesn’t violate privacy. New Delhi: Telecom Regulatory Authority of India (Trai) chairman R.S. Sharma – widely tipped to be the head of the new data protection authority – has said that Aadhaar does not violate privacy and the government has a right to create such a database of residents since it gives subsidies. “Tell me what harm can you do to me if you have my Aadhaar details? I will give you my Aadhaar number if you like,” Sharma, whose tenure ends on 9 August, told ThePrint in an interview. Sharma is being talked of as a leading contender to head the new data protection authority mentioned in a Trai paper on data protection and privacy released last week. In its recommendations, Trai favoured greater control for users on their data. A former IAS officer who was picked as the first director-general of the Unique Identification Authority of India or UIDAI in 2009 to issue Aadhaar numbers, Sharma also strongly defended the creation of a database of residents by the government. The move to create, access and link this database has sparked privacy violation concerns among some activists and campaigners. 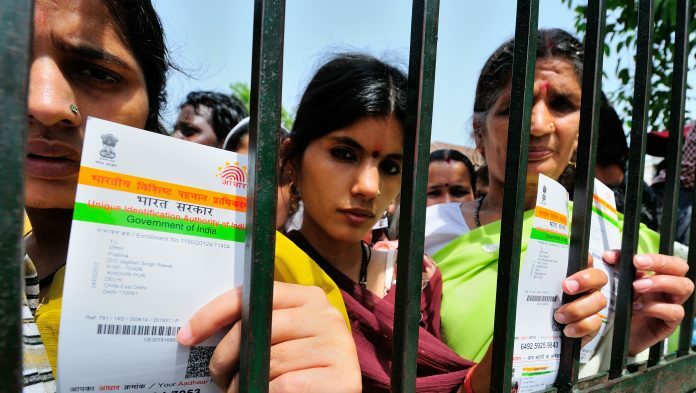 More than two dozen petitions were filed in the Supreme Court challenging the constitutional validity of Aadhaar and the verdict was reserved after hearings concluded in May. The central government is also waiting for the Justice B.N. Srikrishna Committee to submit its draft data protection law which aims to address the privacy violation fears. He also rejected the interpretation of some recent reports which said the Employees Provident Fund Organisation members faced the risk of their identities being stolen after the EPFO’s Aadhaar seeding portal was hacked. “Even if a bank account is linked to Aadhaar, UIDAI does not get your bank details and only serves to authenticate identity,” he said. Sharma also rejected talk of 1 billion Aadhaar accounts being vulnerable. He said there had not been a single instance of data being breached and had there been one, the entire Aadhaar database would have been vulnerable. Aadhaar and IndiaStack, a computer application programming interface that allows governments, businesses, start-ups and developers to utilise digital infrastructure, are the kinds of innovation seen in no other country, said Sharma. “We’ll see what the (Supreme Court) judgment is – it should come any day,” he said. Editor’s Note: This report has been updated to accurately reflect the comment that Aadhaar is a database of residents and not a profile of citizens, after it was pointed out by R.S. Sharma. The error is regretted. I gave the second comment because I did not see my first one appearing. You may remove one of them. It is very unfortunate that following comments have been ascribed to me : “…and the government has a right to create personal profiles of citizens since it gives subsidies.” Far from this, I did not, even once uttered the word profiling in the entire interview. I think the reporter who interviewed me had recorded the interview. I challenge her to place the entire recording in public domain so that the truth can prevail. On the contrary, we had incorporated principles of ‘privacy by design’ in architecting Aadhaar. Hence there is no question of me even remotely thinking about profiling. I will agrre to what I had said, but strongly contradict what was neither said nor was even remotely implied. I never made the statement “the government has a right to create personal profiles of citizens since it gives subsidies.”. I think the reporter had recorded the conversationn and I challenge her to produce it. I, in my remotest thought, would think of profiling. In fact, this is the reason where we introduced the concept of privacy by design whilloe architecting Aadhaar. I thought I will make the record straight.